This is a guest blog post by Structure Tech home inspector Milind Angolkar. 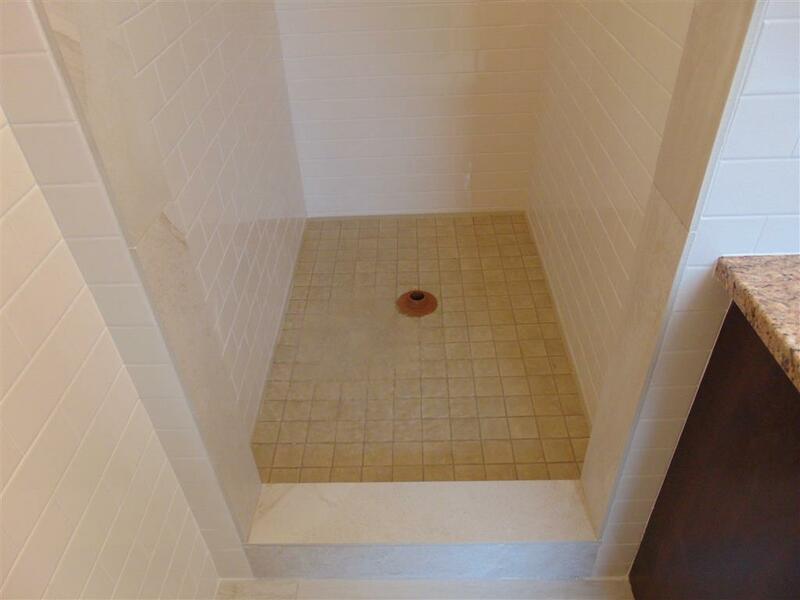 Tiled shower pans are a standard feature on high-end remodels and higher end new construction bathrooms, and are sometimes a necessity due to space restrictions. It’s also a really big deal when they leak. So what’s the best way to test a tiled shower during a home inspection? If you’re building a new shower, a flood test of the shower is now required under Minnesota Plumbing Code 408.7.1 (see Reuben’s rant ... er ... blog post for more info). At Structure Tech, we have performed a similar test for years, and found dozens (maybe hundreds?) of leaking tiled showers. Using what we call a "shower dam" we create a scenario where about 2 inches of water stands in the tiled shower pan for about 45 minutes to an hour. During this time, we frequently check the ceiling below for signs of leakage, using an infrared camera. 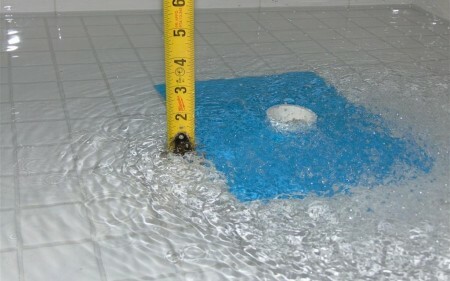 Flood testing a shower is the only way to test a tiled shower for leaks during a home inspection. In the video clip below, you can see me using a moisture meter to confirm a tiled shower leak that I found using my infrared camera. We’ve found shower pans that leak in all price and age ranges of homes, even brand-new constructions. We’re so passionate about flood testing, that when pre-made shower dams were discontinued (pictured above), I made my own with a couple of simple items. 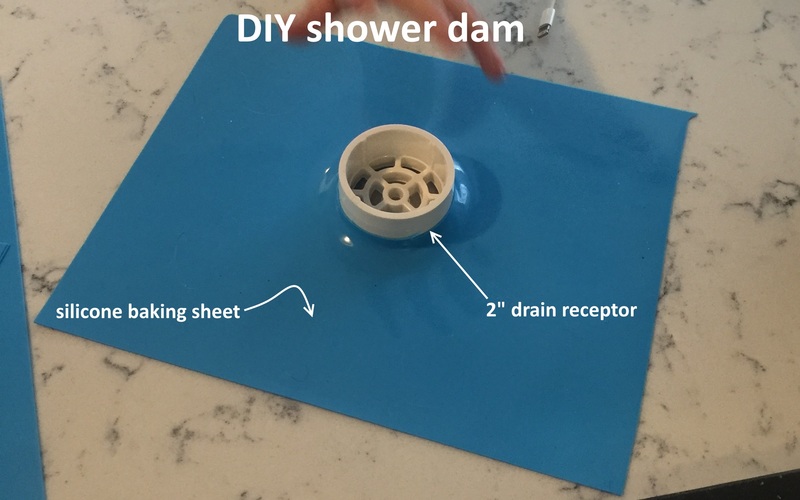 A good shower dam will have some type of thin flexible base to conform to the bottom of a shower and some type of cylinder with a hole in the top to allow water to flow down the drain. The reason we don't just cover the drain is because it could make a huge mess if forgotten about (don't ask how we know). 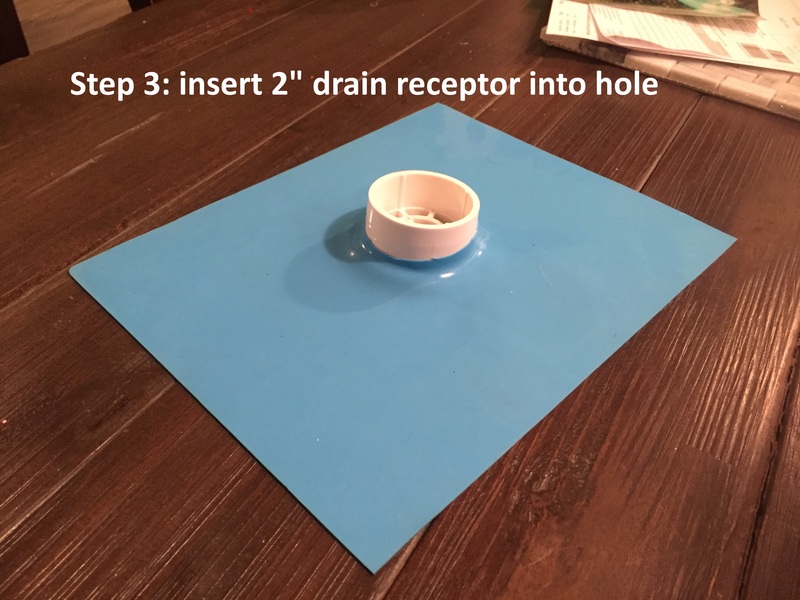 The best method yet, shown above, is made from a piece of silicone baking sheet and a 2-inch PVC drain receptor. 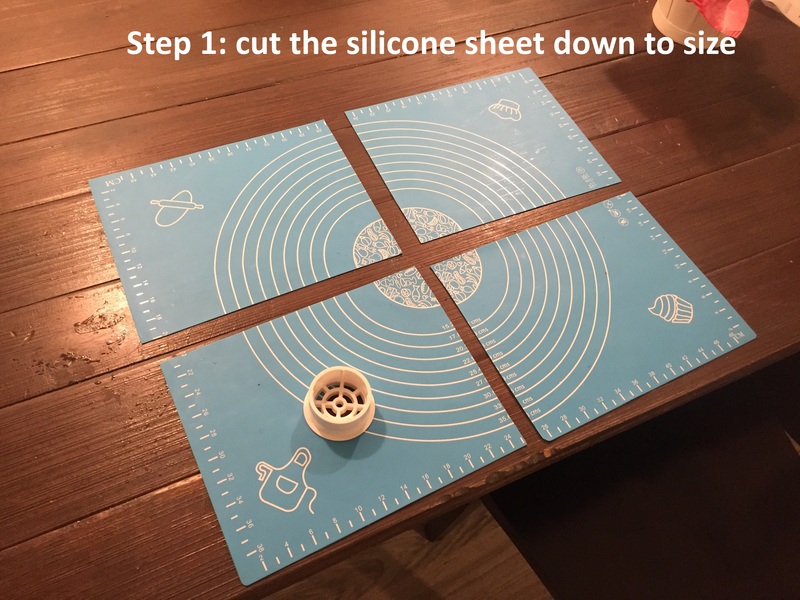 Simply cut the sheet into fourths, cut a 1½-inch diameter hole in the center of your sheet, then insert the 2-inch wide drain receptor. 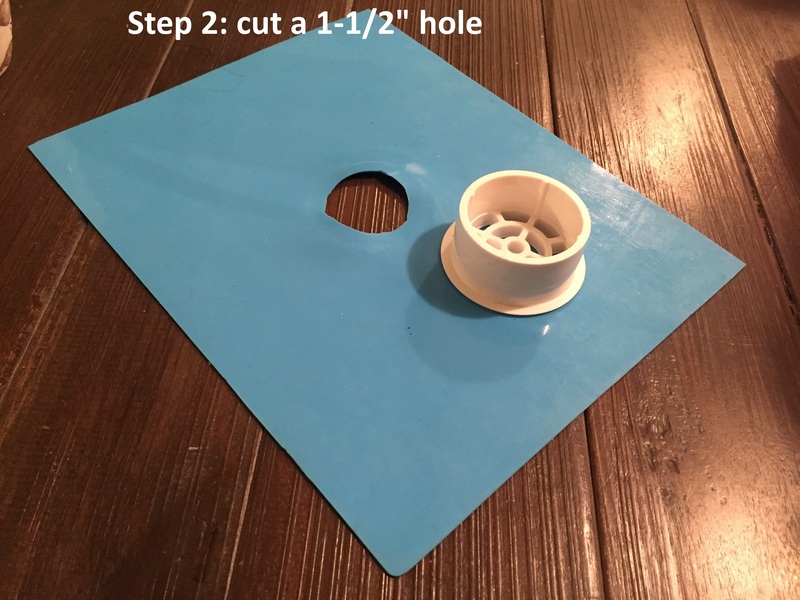 You want the hole to fit snug around the drain receptor, so it needs to be a little bit smaller. Done! Grab your thermal imaging camera and you’re ready to test. Will this guarantee a leak free shower? Absolutely not. There are always exceptions. We spoke with a client once that had a leaking shower that would not leak when we flood tested it. Repeatedly. It would only leak when someone was actually in the shower and their added weight caused a slight disconnect at the drain. While flood testing a shower is not required by the ASHI Standards of Practice, we believe this is an important test for tiled showers. We want to leave the inspection knowing we’ve done every dam (sorry) thing possible to give our clients a great inspection...aside from taking a well needed shower by the end of the inspection. 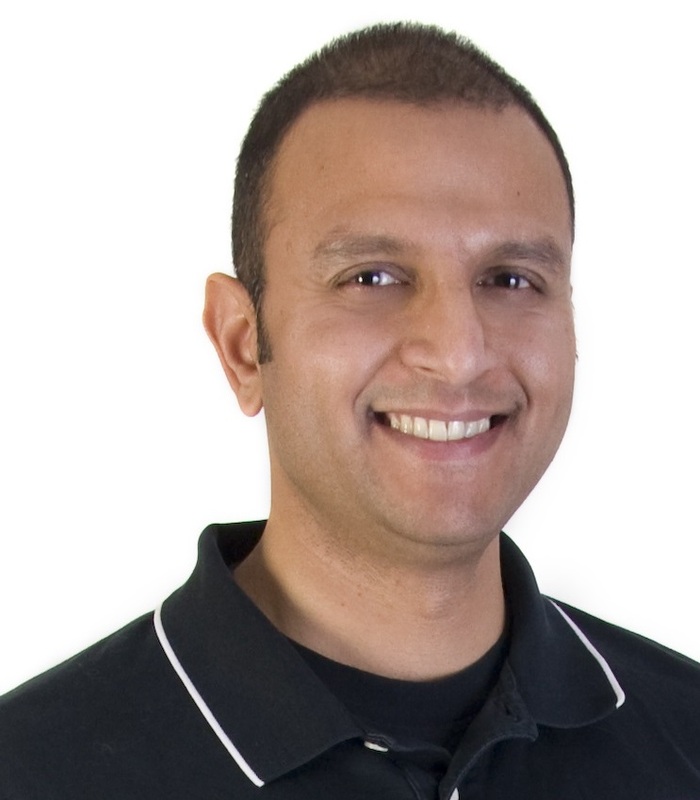 About the author: Milind Angolkar is a home inspector with Structure Tech Home Inspections, where he has worked since 2009. Milind is an ASHI Certified Inspector, a Level I Certified Infrared Thermographer, and a licensed TISH evalutor in Minneapolis, Saint Paul, Bloomington, Hopkins, Robbinsdale, Maplewood, and South Saint Paul. It's time for Minnesotans to consider removing snow from their roofs because of the weight.